So you have your new Minelab Explorer or E-Trac metal detector, but you don’t know how to use it yet, well don’t worry, we’ve got ya covered! Author Andy Sabich has put together the The Minelab Explorer & E-Trac Handbook for those who are just starting out with their new Minelab Metal Detectors. Book features etrac tips and tricks, explorer tips and more! This handbook will help you cut the learning curve in half! Andy explains everything you need to know so that you can start finding the good stuff today! In stock and Ships Fast… Order Yours Today! 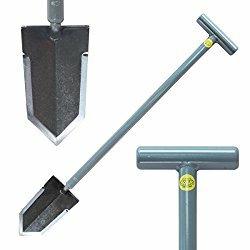 Get tips on how to use your etrac metal detector. This entry was posted in Metal Detecting, Metal Detecting Equipment, Metal Detecting Tips and tagged arkansas metal detecting, Detecting Tips, e-trac, etrac tips, explorer, how to set up the etrac, how to use minelab etrac, metal detecting, metal detecting blog, metal detecting secrets, metal detecting tips, metal detector, minelab e-trac, minelab explorer, MInelab Explorer and E-Trac Handbook, minelab metal detector, minelab metal detector tips, tips for etrac. Bookmark the permalink.